Projects — Ulysses Owens Jr.
First presented under the auspice of Jazz at Lincoln Center, the 1960s are explored through the work of three prolific artists: Joni Mitchell, Abbey Lincoln, and Nina Simone – all of whom have made an indelible mark in music. Each artist expressed freedom in various ways. Joni composed and sung about the freedom of love, Abbey expressed freedom of her individuality and race through her lyricism, and Nina Simone demanded freedom politically through song. The project is under the musical direction of Grammy Award-winning drummer, Ulysses Owens Jr.
THREE originated in 2016, and features the dynamic young virtuoso “Joel Ross” on vibraphone and veteran Reuben Rogers, who is one of the most in demand bassist in the Jazz world. Their chemistry is highlighted on Ulysses’ 4th Record as a leader, “Falling Forward”, recorded for the “Spice of Life” Japanese Label. Release May 24th, 2017 in Japan, and August 9th, 2017 in the USA with a CD Release Event at Dizzy’s Club Coca Cola in New York City. Drummer Ulysses Owens, Jr. This high-octane big band is an expansion of the acclaimed New Century Jazz Quintet, which already features five of the best rising star musicians from New York City and Japan: Ulysses Owens, Jr., Tim Green, Benny Benack III, Takeshi Ohbayashi, and Yasushi Nakamura. Over the past few years, the Quintet has performed to enthusiastic New York audiences at Dizzy’s Club and throughout Japan, leaving no question that they’re all key players in the future of jazz. The big band configuration adds 11 worthy instrumentalists to the mix, giving a platform to even more top emerging voices in jazz. 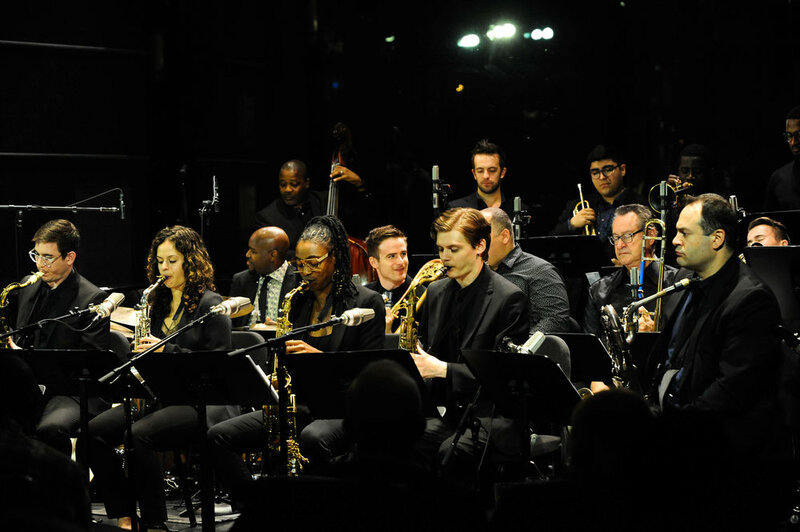 The group’s varied repertoire includes originals and a range of original compositions by Ulysses, and such artists as Michael Jackson, John Coltrane, and Mulgrew Miller, offering a strong foundation for improvised solos and big band fireworks. This band has is also contracted for various high profile artist’s, where Ulysses serves as Music Director and has this great cast of players joining him.